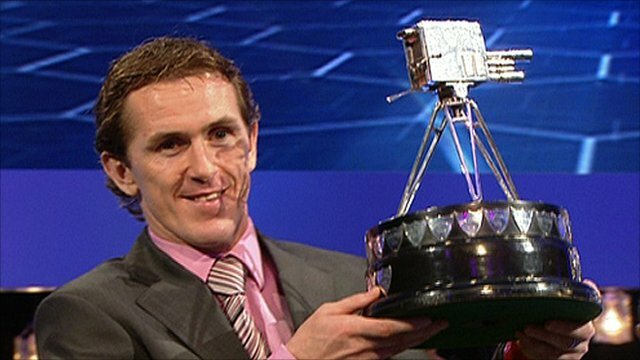 Grand National winner Tony McCoy has been voted the 2010 BBC Sports Personality of the Year. The 36-year-old has been the champion jump jockey 15 times and becomes the first rider to win the BBC award after claiming 41.98% of the vote. "To win this award is surreal," said McCoy, who won the Grand National in April at the 15th attempt. Darts player Phil Taylor came second, while heptathlete Jessica Ennis finished in third. Northern Irishman McCoy, who has sustained numerous injuries during his stellar career, won the Grand National at Aintree for the first time in 2010 on Don't Push It. 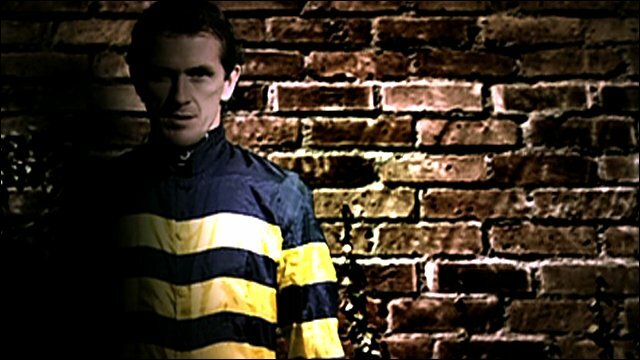 He has dominated his sport since he first became champion jockey in 1996, riding more than 3,000 winners, and in 2002 he beat Sir Gordon Richards' all-time record of 269 winners in a season. "He's dominated racing like Tiger Woods has dominated golf and Roger Federer dominated tennis," said fellow jockey Ruby Walsh. McCoy has won almost every big race in the National Hunt calendar, including the Cheltenham Gold Cup, Champion Hurdle and King George VI Chase. The Sports Personality award was voted for by the public, who cast just under 700,000 votes. McCoy received 293,152, while nearest rival Taylor polled 72,095. "This is an unbelievable feeling standing here in front of all these amazing people," added McCoy as he accepted his award. "It's not something that anyone would be silly enough to dream about, even me. "My daughter, Eve, who is three, was shouting at me when she knew I was going to be on television this evening. "I want to keep going now. I want to be a champion jockey and I want to be at the top of my sport. I don't know how long I will go on - time is the enemy of any sportsperson." 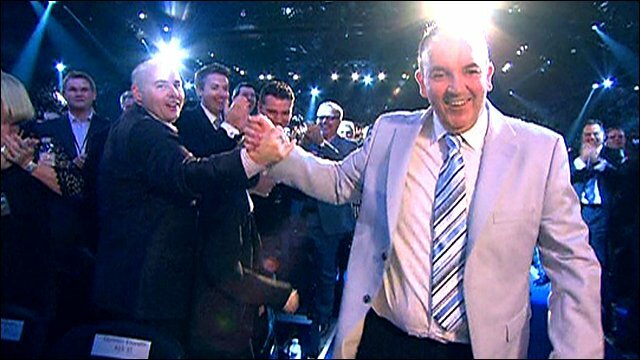 Taylor, nicknamed The Power, has won the world darts title 15 times, including 2010, and looked thrilled when it was announced that he had been voted in second place, claiming 10.33% of the vote. The 50-year-old from Stoke-on-Trent collected six major titles in 2010 and defeated unseeded Australian Simon Whitlock 7-3 in the World Championship final. "It means the world to me," said Taylor. "For darts as well, it's fantastic and I can't be any happier than I am now after all the years of dedication I've put in. "It's a shock that sports people actually know who you are. David Beckham came up and said 'How are you, how are the kids? I heard you had a little grandson this week'." Ennis chose not to compete at the Commonwealth Games in India in October but earlier in the year won gold at the European Championships in Barcelona. The 24-year-old, who was third at the 2009 Sports Personality of the Year, received 9.02% of the vote at this year's awards. "It's such an honour and I hope one day I can get the big one," said Ennis. "I feel I have my biggest challenges ahead of me and 2012 would be an amazing year to win it." Footballer and former England captain David Beckham received the Lifetime Achievement award, which was presented to him by Sir Bobby Charlton and Ryan Giggs. "I dedicate my award to the men and the women who are serving our country in Afghanistan," said a visibly emotional Beckham, 35, after receiving a lengthy standing ovation from the crowd at the LG Arena in Birmingham. "I am very humbled to receive an award for something I love doing and to receive it from Sir Bobby Charlton, who was there when I first started at United, I am truly honoured. "I have been lucky enough to have played for some of the great teams - Preston North End, Manchester United, Real Madrid, AC Milan and Los Angeles Galaxy - and of course playing for England has been the highlight." Diver Tom Daley won the Young Sports Personality of the Year award for the third time. "It has been a very tough year with injury and I was very happy to go to the Commonwealths and come away with two gold medals," said the 16-year-old. The victorious European Ryder Cup side won the Team of the Year award after they defeated the United States by a single point to win back the trophy after a rain-affected competition at Celtic Manor in Wales. "It is an honour to be here on behalf of that team," said team captain Colin Montgomerie as he accepted the award. "We thank you for your support and votes and we want to thank every spectator that turned out to support the team in Wales." Colin Montgomerie was named Coach of the Year but paid tribute to the other members of his Ryder Cup coaching team - Thomas Bjorn, Darren Clarke, Paul McGinley, Mark Roe and Sergio Garcia. "They are unsung heroes, the guys you don't hear about but who get our team on form and prepared," said the 47-year-old Scot. "It is a fantastic year for European golf." Tennis player Rafael Nadal, who claimed three of the four Grand Slams in 2010, won the Overseas Sports Personality award. "For me it is an honour to receive this award - thank you very much," said the 24-year-old Spaniard. "I am now on a list of great champions who have received this." Basketball coach Lance Haggith took the Unsung Hero award after impressing the judges with his dedication to coaching. The 50-year-old has worked with children and young people of all abilities for the last 30 years. "It is a great award and a great honour but I would like to say I receive this on behalf of all the volunteers that have helped me over the years," said Haggith, who comes from Bedford. "There is not enough recognition to volunteers throughout the UK - without them there would be no backbone to the country." Formula 1 team boss Sir Frank Williams received the Helen Rollason award, a special accolade for outstanding achievement in the face of adversity. Williams has been in a wheelchair since suffering a spinal injury in 1986 yet remains one of the sport's key figures, helping the Williams team become the third most successful F1 team in history, winning 16 championship titles. "It is one I would love to do again if I was younger," the 68-year-old Williams, who was knighted for his service to motorsport in 1999, said of his career in F1.